One of the drive-in's biggest events is coming up soon, Trunk or Treat. Owner Preston Brown expects a big crowd. 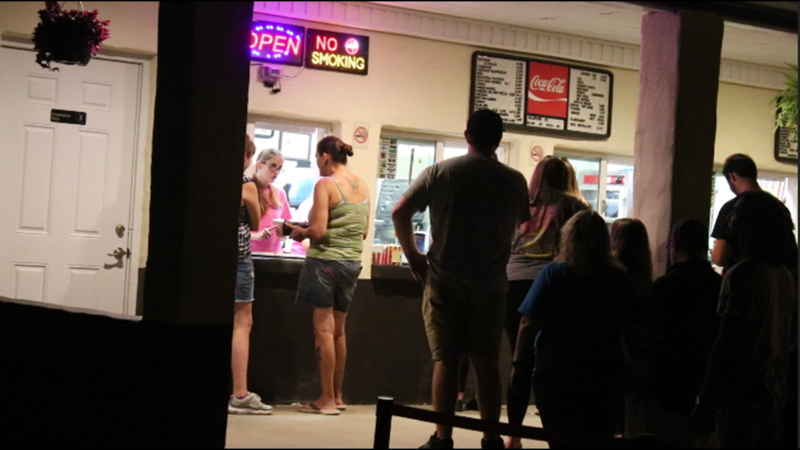 KINGS MOUNTAIN, N.C. — On a Saturday night in September, a steady line of cars crawled onto a campground just west of Crowder's Mountain. The families in these vehicles weren't pitching tents or roasting s'mores. They were going to see a double feature. 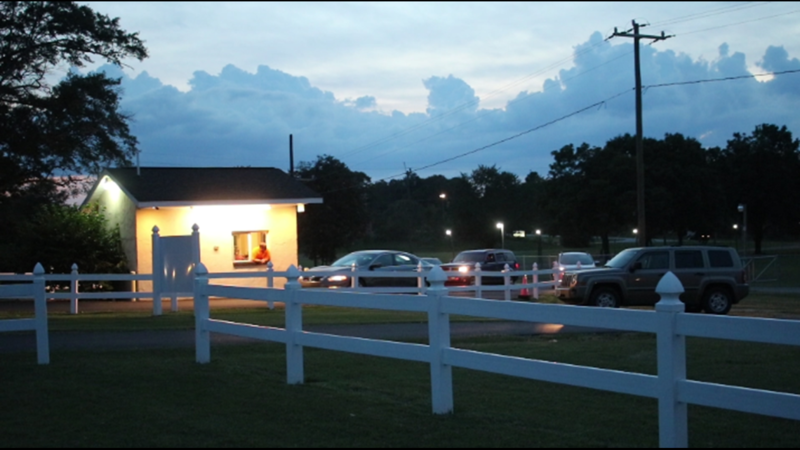 Hound's Drive-In at 114 Raven Circle opened at Hound's Campground in May 2016. 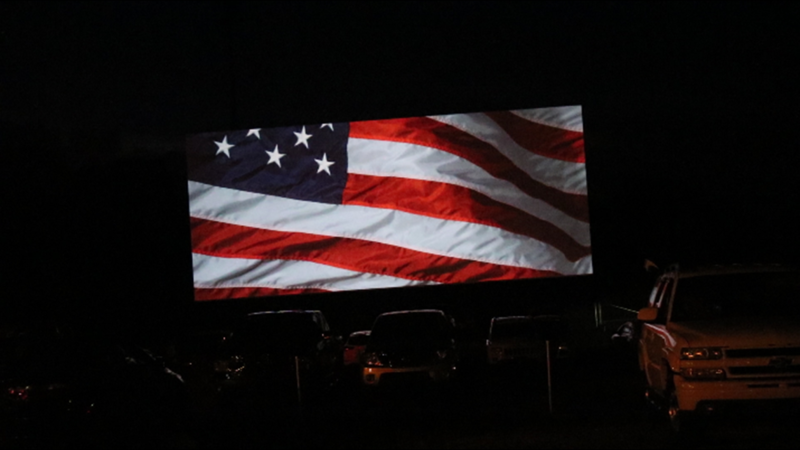 Owner Preston Brown grew up in the movie business and decided to bring a bit of nostalgia back to Kings Mountain, N.C.
“My father owned a walk-in theater, and as a young boy at 10-years-old, I was fascinated with the projector and how it worked," Brown told NBC Charlotte. 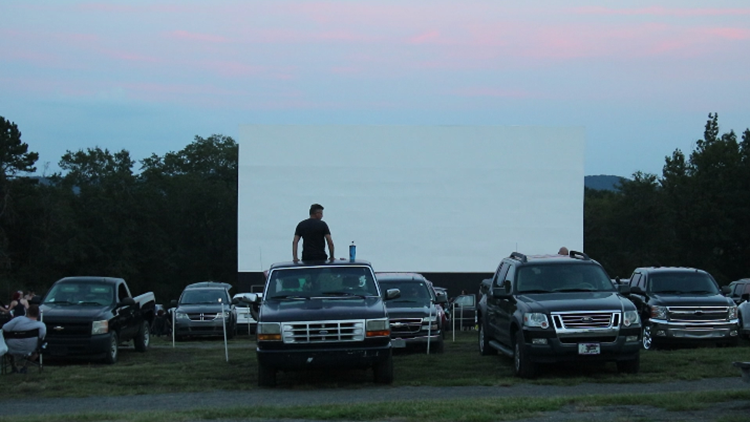 The first drive-in opened to movie-goers on June 6, 1933, in Camden, New Jersey. The outdoor theater reached the height of popularity in the 1950s and 1960s, a classic hangout in movies like "Grease" and "The Outsiders". Several thousand drive-ins were still in operation in the U.S. up until 2014. That's when technology made things a bit complicated. “All theaters had to convert from film to digital. 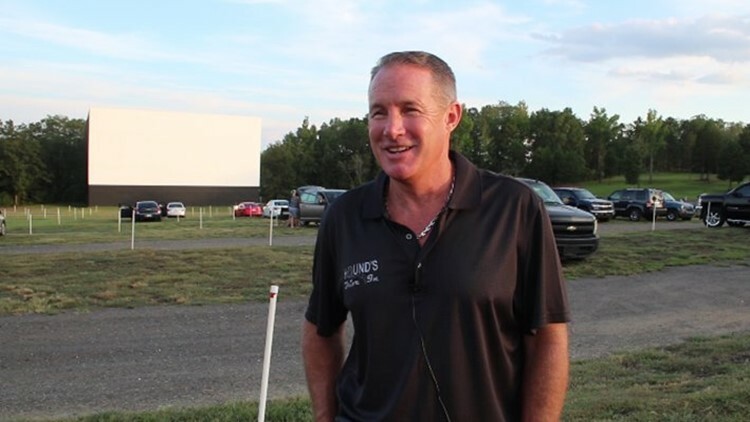 It was very expensive to convert and caused most drive-ins to shut down,” Brown explained. 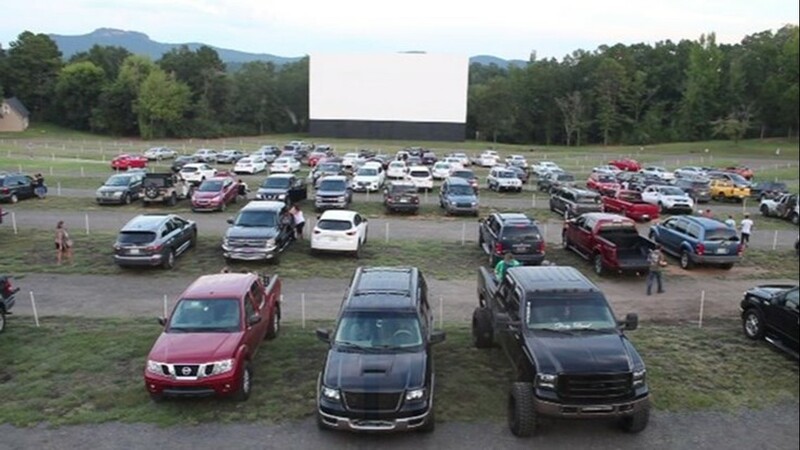 Now there are only about 300 drive-ins left across the country. According to USA Today, you're out of luck if you live in Alaska, Delaware, Hawaii, Louisiana, or North Dakota. In Kings Mountain, Brown is struggling -- but in a good way. He's trying to accommodate all of his customers. 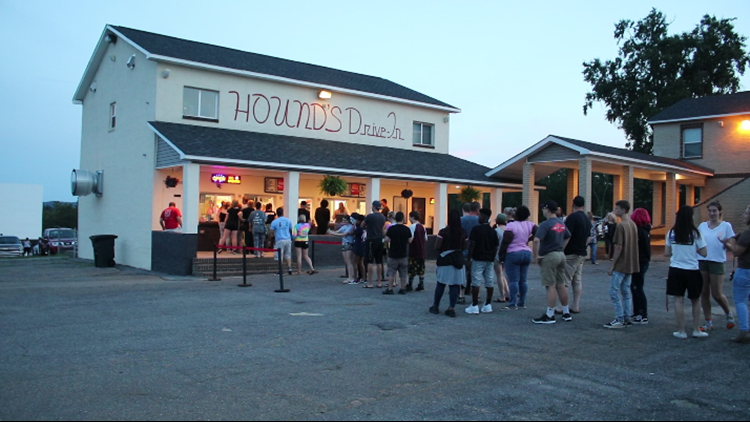 In fact, Hound's is so packed on the weekends, Brown is expanding. 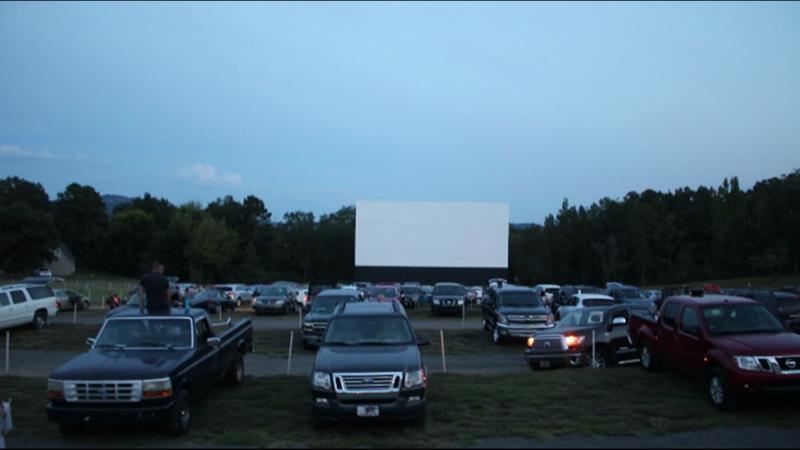 Although they've been around for 85 years, drive-ins may be a mystery to the younger generation. Here's how it works. “You pick a parking spot and tune your car radio to the FM frequency designated to that screen and sit back and relax and enjoy the show,” said Brown. Bonus: If your car battery dies at the end of the night (remember, there are two movies, not just one) Hound's has jumper cables at the ready. “We also rent radios and sell them if you choose not to use your car radio. You are also welcome to bring your own,” Brown said. The setup is simple. Some people open the hatch of their SUV and sit in the back. Others take advantage of ample space in the bed of a pickup truck. Many choose to spread a blanket on the ground or plop down in camping chairs. Hound's Drive-In in Kings Mountain, N.C.
Another bonus: Pets are welcome. One of the drive-in's biggest events is coming up soon, Trunk or Treat, and Brown expects a big crowd. “We have sold out both years so I ask people to arrive early to assure them a spot," Brown said. Kids dress up, parents decorate their cars, and the trick-or-treating commences. Afterward, everyone gets settled in for the show, which is a triple feature on both screens this year; that's six different movies. While a fun-filled evening with family is the goal, there are rules you have to follow. For example, no outside food is allowed. 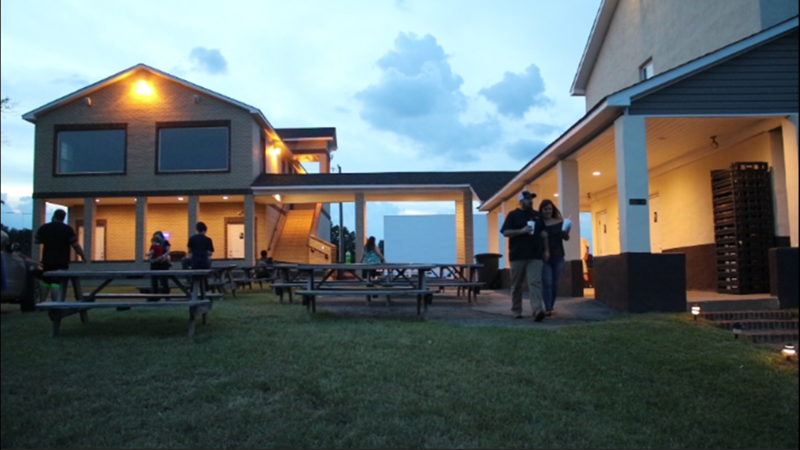 But you don't need to bring any; there's a concession stand with plenty to eat and drink. However, you do need cash. If you're sitting in the back of an SUV, be sure to tie down the hatch, so it doesn't block someone's view, Brown is fine with that. And, of course, turn your headlights off during the movie. At the end of the night, cleanup doesn't take that long. Brown and his workers hand out trash bags to drivers when they pay the admission fee. So there's no excuse not to litter. Trunk or Treat will be held on October 20. Gates open at 5 p.m.; the first movie starts at 7 p.m. Screen one is showing "The House with a Clock in Its Walls", "Halloween" from 1978, and "Halloween" from 2018. Screen two is showing "Goosebumps 2", "Venom", and "Drive-in Massacre". 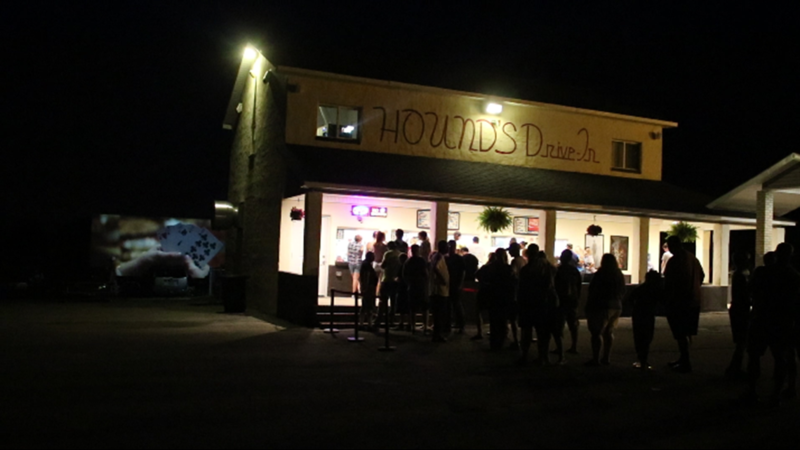 If you can't make it on October 20, there's still plenty of time to check out Hound's Drive-In. The theater doesn't close until the end of November and reopens in March 2019. Price of admission is $15.00 per car.